Olivia Limoges is the subject of constant gossip. 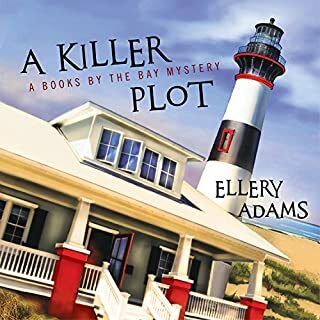 Ever since her mysterious return to the small coastal town of Oyster Bay, North Carolina, Olivia has kept to herself, her dog, and her unfinished novel. With a little cajoling from charming writer Camden Ford, she agrees to join the Bayside Book Writers to break her writer's block and even make a few friends. But when townspeople start turning up dead with haiku poems left by the bodies, anyone with a flair for language is suddenly suspect. My new favorite Cozy Mystery Series! No. The story was hard to get into and once I got a couple chapters in I really didn't care one way or the other about any of the characters. When the going gets tough, Ella Mae LaFaye bakes pies. So when she catches her husband cheating in New York, she heads back home to Havenwood, Georgia, where she can drown her sorrows in fresh fruit filling and flaky crust. But her pies aren't just delicious. They're having magical effects on the people who eat them, and the public is hungry for more. Discovering her hidden talent for enchantment, Ella Mae makes her own wish come true by opening the Charmed Pie Shoppe. 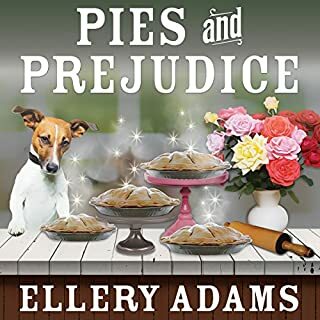 What made the experience of listening to Pies and Prejudice the most enjoyable? The story kept me interested through the whole read. Never felt the desire to just skip over a part. Probably. But I was driving cross country and had to stop occasionally. I enjoyed this so much, I've already purchased the other four books in the series. 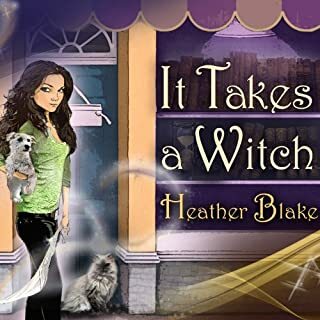 Would you consider the audio edition of It Takes a Witch to be better than the print version? The story got my attention right away. However, as other reviewers noted, the narrator was very uneven. Sometimes changing tone/inflection within the same speech. Very difficult to follow when multiple characters are having a conversation. Otherwise, it was a cute story just right for my computing back and forth to work. What was one of the most memorable moments of It Takes a Witch? The first time Darcy gets called on the carpet. Keep a list of how each character is supposed to sound. Could have been. But I listen on my compute. Didn't bother to me to cut it off in the middle of a chapter. Jadyn St. James is excited to start her job as game warden in Mudbug, Louisiana, and hopes it is the beginning of a new and improved life. She expected to run across any number of odd occurrences in the small bayou town, but she never thought her life would be in danger within a matter of days. And that’s not even the worst thing. Helena Henry was hell on wheels - both alive and dead - when she resided in Mudbug, and a year in heaven hasn’t improved her one bit. Now, she’s back and has brought trouble with her. 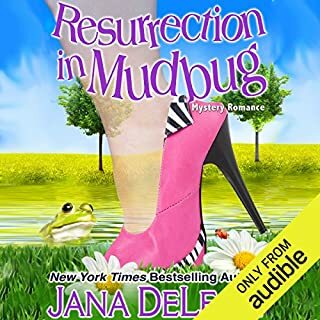 What did you love best about Resurrection in Mudbug? This whole series is very cute and I find myself laughing out loud at some of Helena's antics. Can't wait to continue the series. Great for my commute. Some folks don't care for the southern drawl, but I'm from the south and it doesn't bother me at all. What was one of the most memorable moments of Resurrection in Mudbug? 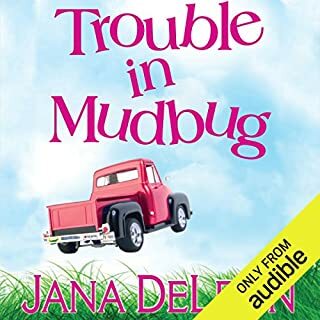 What did you love best about Trouble in Mudbug? Haven't quite finished listening but am enjoying it so much couldn't wait to review. This is the perfect listen for traveling. Characters was just fun. Plot while not exactly believable keeps me entertained.